Dementia takes a toll on those who live with it—and it also places a burden on caregivers. Along with problems connected to memory, language, and decision-making, dementia can cause neuropsychiatric symptoms, such as depression, anxiety, changes in mood, increased irritability, and changes in personality and behavior. People who have AD/dementia also have twice the risk for falls compared to people without dementia. About 60 percent of older adults with dementia fall each year. Frailty is a health condition that increases risks of poor health, falls, disability, and death in older adults. Signs of frailty include weakness, weight loss, slow walking speed, exhaustion, and low levels of activity. As our population ages, scientists expect that more and more of us will need to address frailty and its associated health concerns. 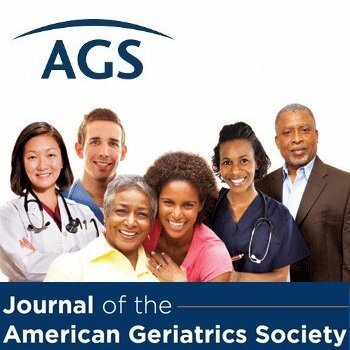 Geriatrics is the branch of healthcare dedicated to working with older people. Geriatrics experts have suggested that physical activity may one of the best ways to prevent frailty. Physical activity includes walking and other gentle forms of exercise. It is proven to improve health. Physical activity can lower the risk of many chronic diseases, including type 2 diabetes, heart disease, several cancers, and depression. Exercise also can improve your ability to perform your daily activities and can lower your risk of death from heart disease. In frail older adults, physical activity has been shown to improve strength, balance, agility (the ability to move quickly and easily), walking speed, and muscle mass (the amount of muscle you have in your body). These are all key functions tied to frailty. Researchers recently reviewed a number of studies about exercise in frail older adults. The review found a number of studies that showed exercise helped reduce falls, improved walking ability, improved balance or increased muscle strength. However, we still don’t know whether physical activity can reduce death among frail older adults.